The United Synagogue has been awarded a £1.7m grant from the Heritage Lottery Fund (HLF) to open Willesden Jewish Cemetery as a place of heritage for the public. 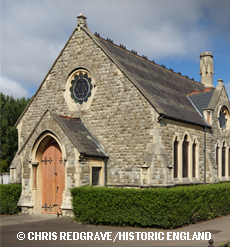 The confirmed grant of £1.7m forms part of a £2.3m project designed to put the cemetery on a sustainable footing for the future and create the ‘House of Life’ project. We are looking for kind supporters to help us reach our target. The ‘House of Life’ will attract visitors from all backgrounds– including Jews, young and old, local communities, family historians, Londoners and heritage tourists, by offering a range of activities focused on 150 years of British Jewish heritage. Though exhibitions, tours and events, the life stories of the people buried there, many hundreds of whom were notable in their day, will come alive. We would be most grateful for your support, so that new generations can explore and appreciate our British Jewish heritage, so we can create a new understanding of Jewish life, and honour this treasured place. You can show you support by donating below or emailing Richard Marcus at rmarcus@theus.org.uk.